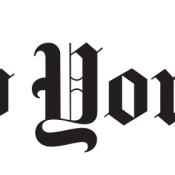 I just posted a new plugin to embed New York Times bestseller Lists on your site. It’s geared towards libraries, but it will work well for any use. Check it out, it’s cool! This was also my first experience listing a plugin in the WordPress plugin directory, which was interesting and not at all the arduous misery I thought it might be. I do see why people say SVN is so much slower than GIT (because it is). But the approval process itself (to get the plugin listed) is surprisingly human and friendly. After a few minor requests to change my plugin name and modify a few small bits of code, I was quickly approved and had my svn repository in hand. From there it was just a few minutes of figuring out how to transfer my git repo for the plugin to the svn repo structure and that was that!